Home / iOS / jailbreak / Jailbreak apps / jailbreaking dangers / NoJailbreak apps / spy / spy app / spy without jailbreak / Technology / XNSPY / How to Spy without Jailbreak with XNSPY? · Jailbreaking your device once won’t be the first and the last time you would be required do so. It’s a cat and mouse chase. Every time Apple comes out with a new update, it nullifies your existing jailbreaking if you update your device via iTunes. You may have to wait till the jailbreak version of the latest OS arrives, which can take days, or even weeks. · Your iPhone may start to crash due to an unstable jailbreak updates; apps can take longer to open. Phone battery may also drain quicker. · You can monitor a device without requiring a physical access to it. It may all sound like that NoJailbreak is the ultimate Spy solution, but wait. Like every other thing, NoJailbreak apps have their downsides too. It poses a limit to how much you can spy from the target device. Jailbreak apps can access a lot more data from a device than what iCloud based apps can. For example, XNSPY Jailbreak version lets you record calls, take screenshots, remotely lock and wipe a device, track real-time location etc. 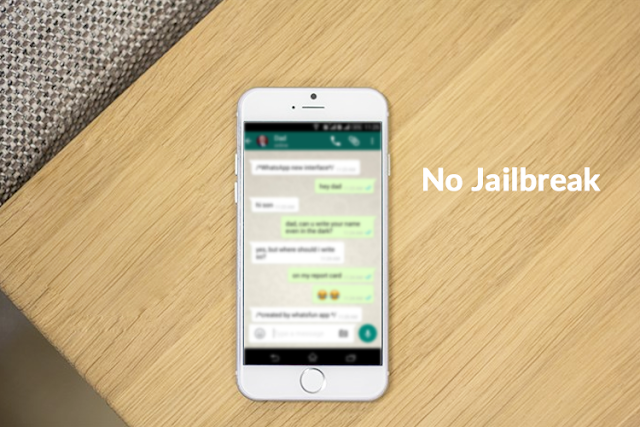 If you want to know more about jailbreak features click here.